With assistance from highly qualified and experienced professionals, we are engaged in manufacturing a huge gamut of Cuplock Pipes. 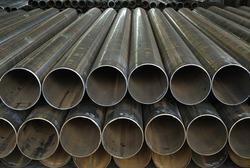 - Widely used to install two metallic pipes. Vinay Wire & Poly Products (p) Ltd.
For supporting man and materials, tools and tackles during construction, alteration, demolition and maintenance works. The Cup lock ledger are produced using the 48mm O.D. tube, it has forged steel blade ends which fitted into the bottom cups of the standards and are secured in place by the corresponding top cups. They are available in varied lengths to enable desired grid shapes for the scaffolding/Formwork. Having a defined quality management system, we are regarded as the noteworthy manufacturer and supplier of an extensive gamut of Cuplock Ledger. Why do we use it It is a long established fact that a reader will be distracted by the readable content of a page when looking at its layout. 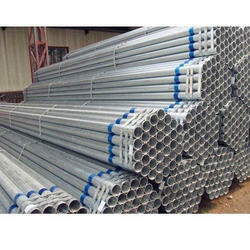 We manufacture & supply - Steel Scaffolding products.We pride ourselves on being a completely self-sufficient company, with in house manufacturing of steel pipes and tubes, besides having our own Galvanizing Plant and Paint/Powder Coating Plant, all of which make Cliff a comprehensive manufacturing base that is sure to meet any international organization's requirements of the fullest.